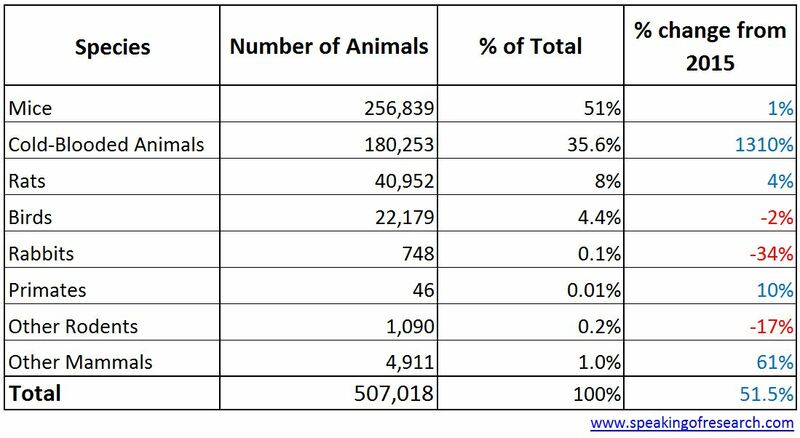 Israel used 507,018 animals for research and testing on animals in 2016 according to statistics released by The Ministry of Health’s Council for Animal Experimentation. This represents a 51% rise on 2015 – with the increase mainly due to a fourteen-fold increase in the number of cold-blooded mammals used (99% fish). “If it’s possible to use fish, you don’t use mice, for example, and if it’s possible to use mice then you don’t use pigs,” Gopas says. Both the move toward using fish rather than mice in experiments and the efforts being made to raise fish with as few diseases as possible have contributed to the spike in the number of fish being used. Gopas notes that the vast majority of the fish used in research, 154,000 of the 178,000 that were used last year, were returned to their previous habitats. 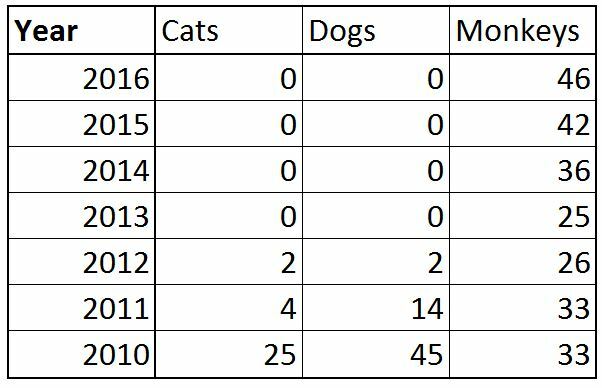 No cats or dogs have been used in experiments in Israel since 2012. Primate numbers have edged up, increasing from 42 to 46 in 2016, though this is still less than 0.01% of total animal numbers. 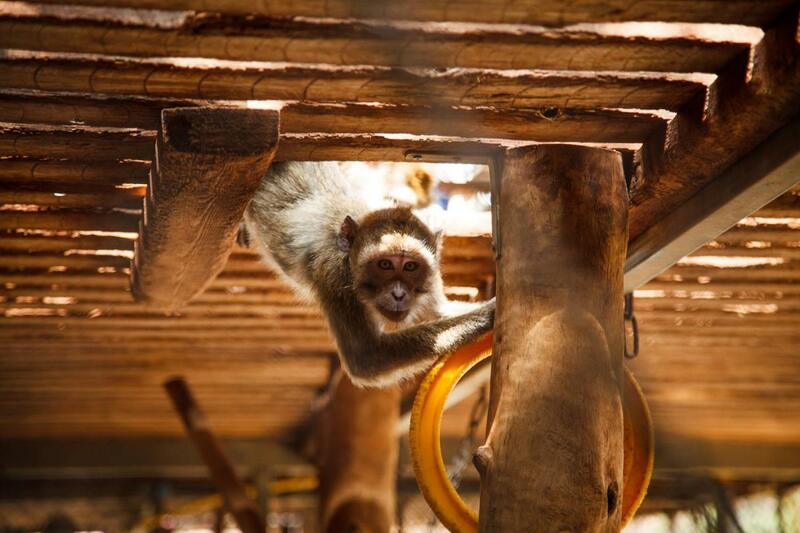 Primate experiments were under threat in 2014, resulting in seven Nobel Laureates, and seven major universities writing to President Netanyahu urging him not to further restrict animal studies. 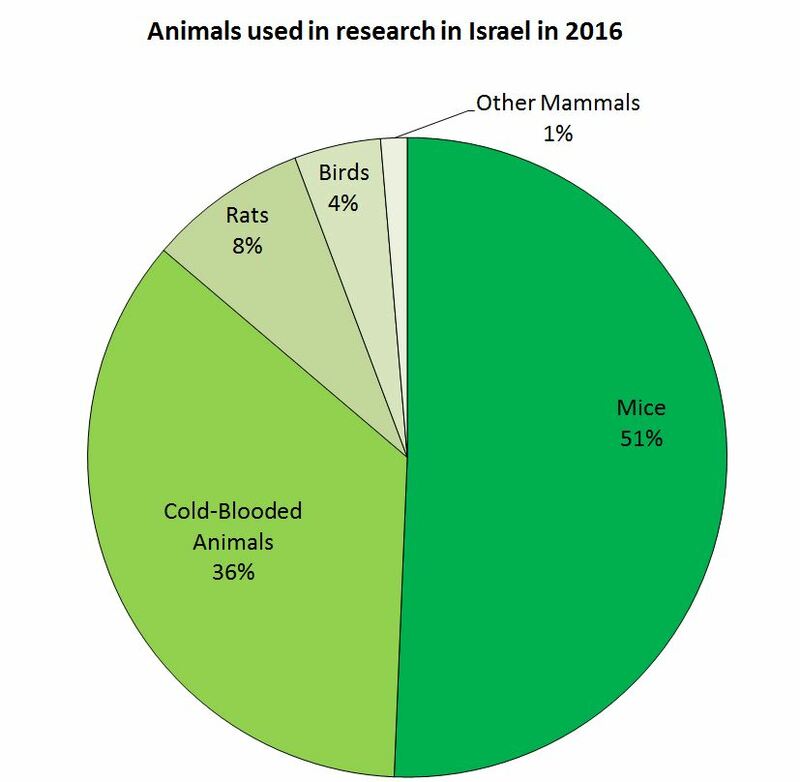 Mice are still the most commonly used species in Israel, accounting for 51% of total animal numbers. Fish are the next most common at 35% (36% when other cold-blooded mammals are included). Rats and birds take the next two slots, with 8% and 4% respectively. 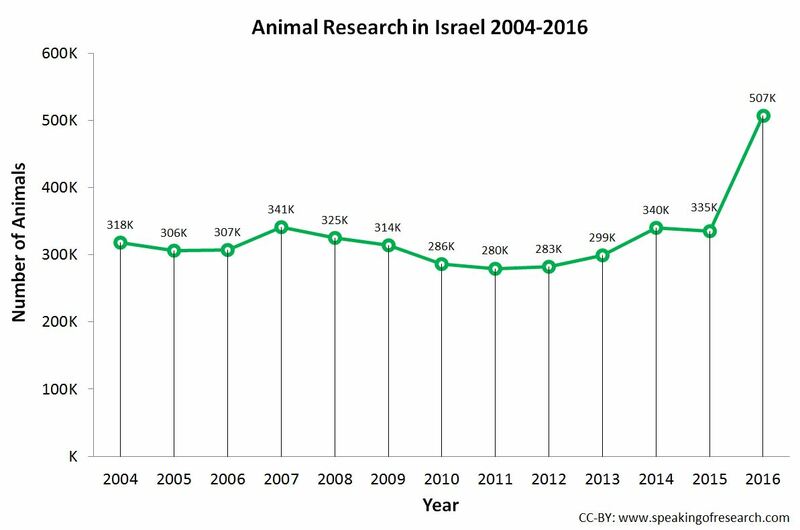 Trends in Israeli animal experiments 2004-16. Click to Enlarge. Historical statistics show that until the spike in 2016, the number of animals has been fairly constant, fluctuating between around 275,000 and 340,000. The slight variations may account for individual projects which used a lot of animals, or from slight changes in science funding over the years. It appears that the sharp rise in 2016 is due to one or more research projects specifically working with fish – that account for most of the 170 thousand rise in animal numbers. The council noted that in 2016, its post-testing animal rehabilitation rate for monkeys, carnivores, farm animals and wildlife, excluding rodents and poultry, stood at 88%. “The rates of animal rehabilitation in Israel are outstanding by any standard. Israel has been a leader in this field for years compared with the data published worldwide,” the council said, adding that it has so far funded nine projects aimed at developing methods that would minimize animal testing by finding alternatives that would not compromise research studies. More information (in Hewbrew) can be found about the severity of animal experiments in Israel in 2016. The statistics show that 14% of projects were categorised as severe, 31% as moderate, 28% as mild, 18% as below mild, and 9% killed humanely for the purpose of collecting organs (not all countries collect this data). It is likely that projects are estimated at or above the actual severity level, and researchers would be in breach of protocol if they exceed their estimated severity. Check out all the latest international statistics on our Animal Research Statistics page. Posted on May 18, 2017 May 18, 2017 by EditorPosted in News, StatisticsTagged israel, National Council for Animal Experimentation, Statistics. Next Next post: Research Roundup: 3D printed ovaries, social ties and longevity, a new bone regeneration therapy, and more! Good for them if this research is helping ppl + science around the world!!! :) The statistics shouldn’t matter really.